Mom! Mr. Snowman had babies. I wonder what happened to its head? 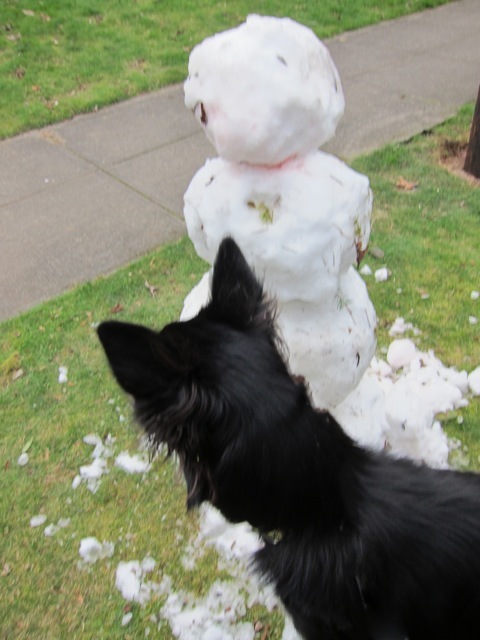 Mr. Snowman put in an appearance in my backyard, so I decided a proper doggie meet-and-greet was in order. 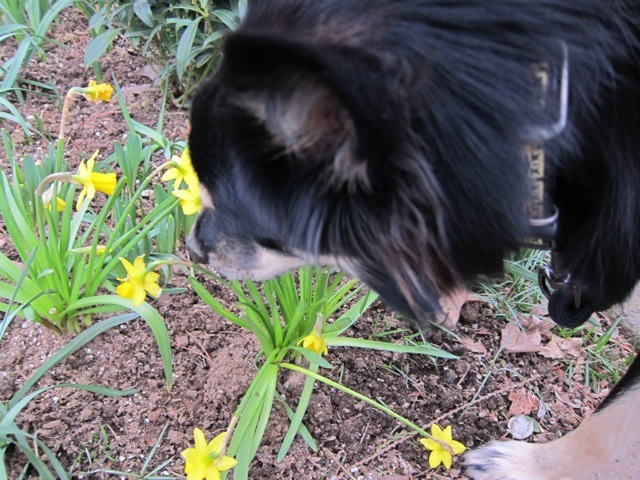 Hmmmm…this doesn’t smell like any dog I know! After introductions, Mr. Snowman said I should go check under the Christmas tree. That’s where pressies are. Hmmmm. Is this a pressie for me? I think I should open it and see. Sage! What are you doing? Well, Mom, Mr. Snowman said I might have a pressie under the tree. My sweet girl…you have to wait ’til Christmas. Santa is watching you and you have to be good. And, besides, that’s not yours. Uh. But Mr. Snowman said I had a pressie. You do have a pressie under the tree that you can open now–from our good friends across the street. So Mr. Snowman was right. There was a pressie! That’s right, Sagie. And there might be more. You just have to wait. Santa is watching! But do you remember getting an envelope a while back, Sage? Yes! Yes! Sweet Savannah sent us something and then you left and then and then… It was a little bitty Kong. Can I have it? No, sweet Sage. It’s too little for you, but Savannah passed on this neat award. That’s like a pressie too, right? Sure it is…it means you’re special. Just like Savannah. I hope everyone gets a pressie under their tree! If you need help opening it, let me know. I’ve developed a proper pressie-opening technique that I can teach you. It’s quite easy…. You know, it rains here a LOT and last week we had this white rain coming down. Mom said it was snow, but we didn’t have very much. At least this time it covered the ground–for a while. Anyhow, I figured the best approach was to eat it. 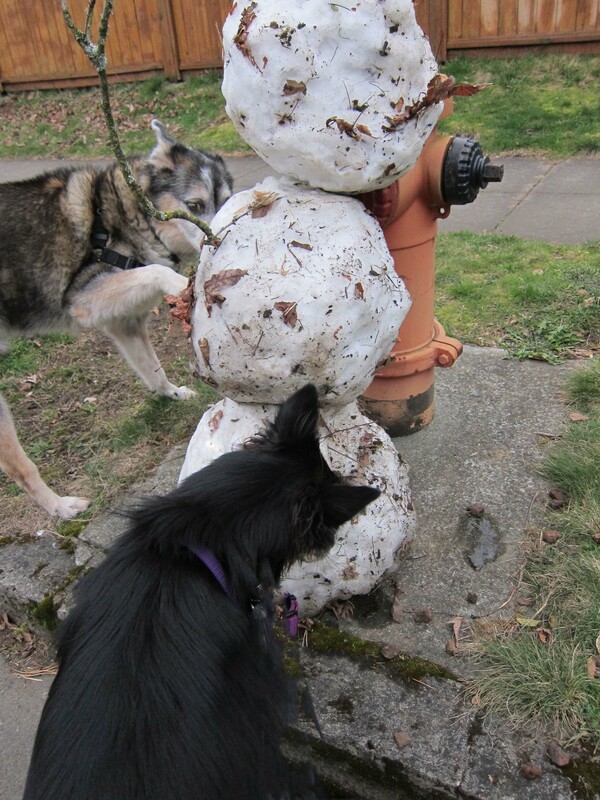 It’s been VERY cold since then, but today we took a walk around the neighborhood and saw these big snow balls leaning against a fire hydrant–was this a snowman? 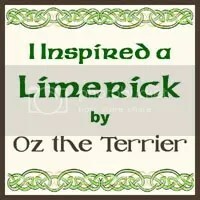 Toby and I had to do a lot of sniffing–maybe there was a treat inside! Further along, we saw signs of spring. These pretty little jonquils were very brave to be out here in the cold, that’s for sure! Then, would you believe it? We saw ANOTHER snowman! Wow, this was really something. There were some pretty interesting sniffs around this one. I think some of my friends have been here! It took so long to read all that pee-mail that we thought maybe we were going to turn into a snowman! 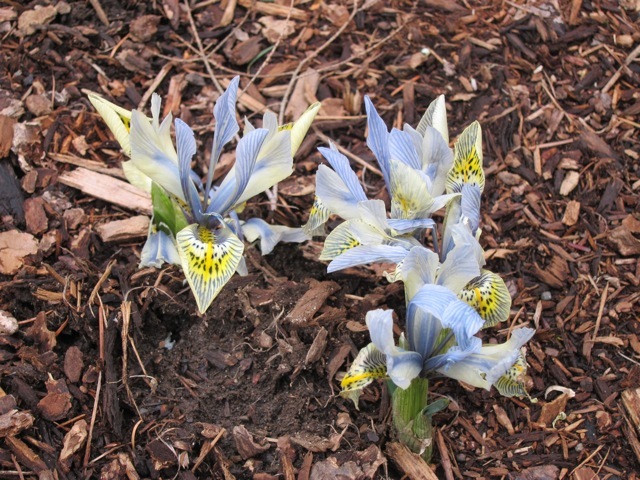 When we got home, we saw these pretty little dwarf irises that Mom planted last fall. Mom said they were so pretty that she was going to plant more! It was a pretty nice walk!! A little bit of winter; a little bit of spring. But, no mud…….